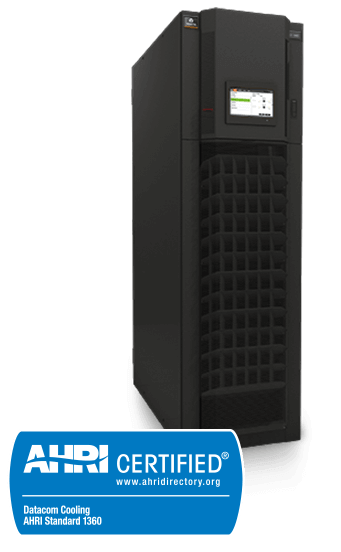 Liebert CRV In-Row Cooling System, 19-40kW, offers highly flexible, in-row cooling for data centers requiring higher density cooling with greater efficiency and capacity. The system is designed for small and medium data centers or higher density containment applications in large data centers. 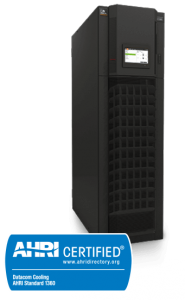 The Liebert CRV is a precision data center cooling solution providing temperature and humidity control. It integrates within a row of data center racks, providing the ability to cool close to the heat load. It is often used with aisle containment and the advanced iCOM-S thermal supervisory control to independently manage airflow and temperature, greatly improving efficiency and supporting higher rack densities. Adjustable airflow baffles allow you to more precisely direct airflow within the row. It uses environmentally-friendly R410A refrigerant. The system is available in two widths, 300mm and 600mm, and multiple capacities. It is available in systems for air, water/glycol, and chilled water.